First, you have to decide if you want to work with a forwarder in your country or one based in China. It will, of course, be easier to find one in your country. But Chinese service charges are much cheaper than those in the West. Low exchange rates, lower labor costs and other factors make Chinese freight services cheaper. There are numerous forwarders out there, and finding a reliable one that offers high quality services is a question of comparing listed companies and requesting quotes. When you have narrowed down the companies based on your budget, you can begin to evaluate and compare their services. 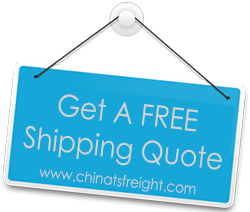 When you are shipping from China, freight forwarders should be able to step in to dialog with you. They will find out your shipping needs, evaluate cargo specific requirements, and figure out transportation solutions. They will make sure that the goods you are shipping get safely from the shipper to you. Reputable companies will also assist you with the documents that you will need along the way and help with making customs clearance as smooth as possible. When selecting a company, also make sure that their services include keeping you updated at all times about their communication with your supplier. It is important that your supplier sends all the documents like bill of lading, packing list, commercial invoice, certificate of origin and other forms along with your shipment. Good communication between you and the supplier will help ensure you get all the documents needed. The freight forwarder will act as a mediator between the two parties so that this is communicated well. Also, your freight forwarder will help you decide whether to choose LCL (Less Container Load) or FCL (Full Container Load) when you ship, or how to make consolidation arrangement with different suppliers’ goods, depending on which method is more economical for you. Make sure the company you hire knows exactly what you want before you negotiate prices. Also make certain that the company provides special protection to LCL goods that are carried in mixed containers along with shipments from other companies. Choosing a freight forwarder needs some work. But once you have found a reliable company you can work with, you can save plenty of time and money while laying down the foundations for future partnerships as your small business grows.